Add the finishing touch to the tables at a 70th birthday party with our bright and vibrant table decorations. Fully personalised with the recipient's first name and their birthday date, they're a great keepsake of their big event. A fun memento to have out on display. 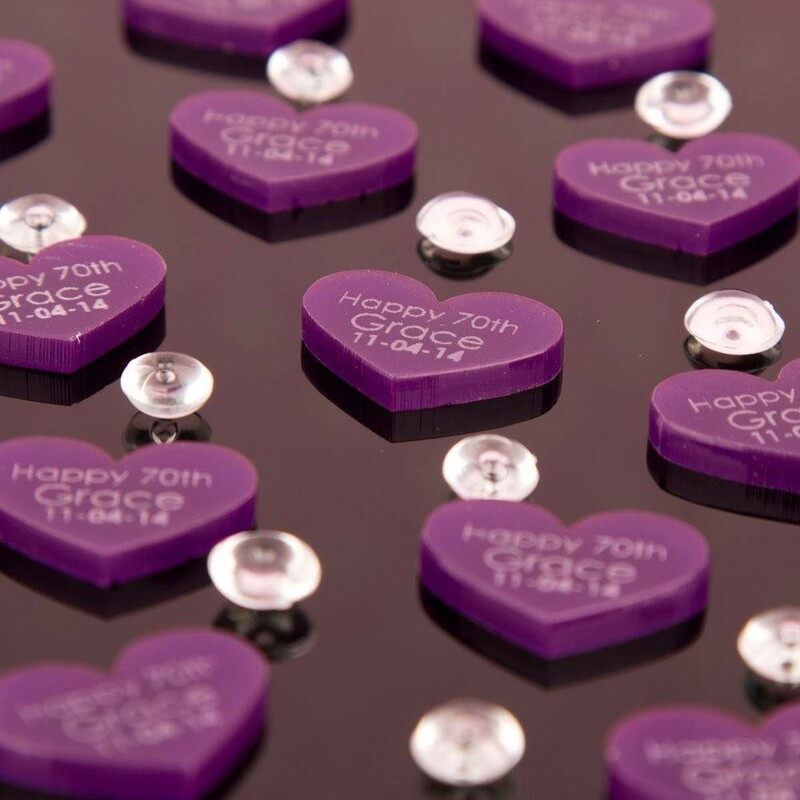 Cut from 3mm thick acrylic, these heart shaped decorations will stand out scattered on tabletops. They're available in six different colours – perfect for every colour scheme! The decorations are cut and laser engraved in house. Dimensions: Approx. 2cm wide x 3mm thick.